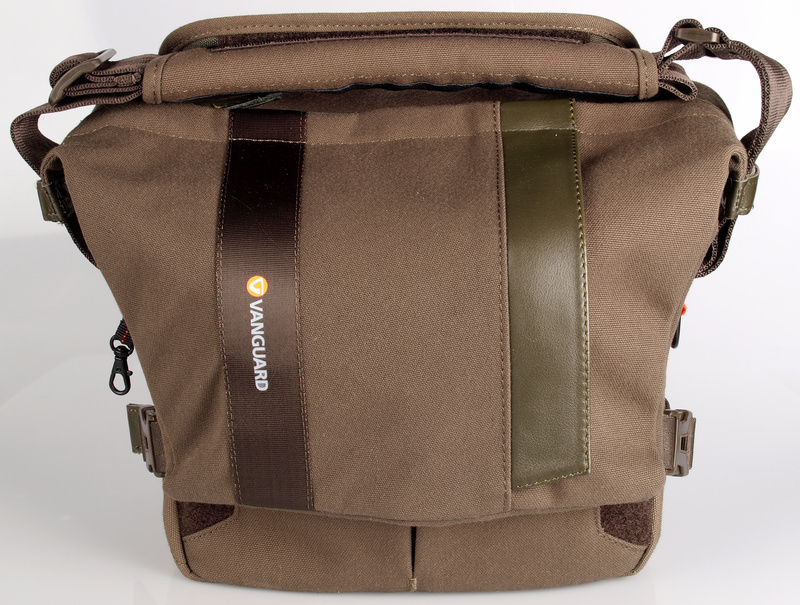 The Vanguard Vojo 22 shoulder bag has room for your DSLR, extra lens, tablet device and accessories. 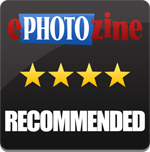 Daniel Bell reviews. The Vanguard Vojo series of shoulder camera bags are ideal for travelling with your camera kit and are made from canvas-style material. On test here is the Vojo 22, which has enough room for a DSLR with a standard zoom lens attached, one extra lens, a 9.7 inch tablet (such as an iPad) and accessories, such as memory cards, batteries and charger. It is available for £85.00. The Vojo 22 is an ideal bag if you are looking for one to carry your camera equipment on some occasions and use it as an everyday bag at other times. 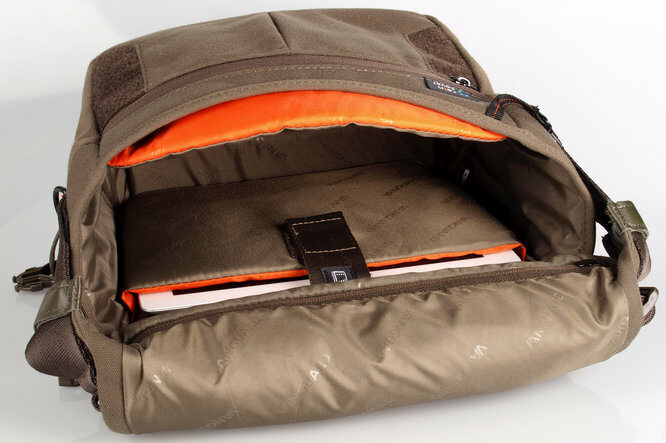 The inner padded compartment is completely removable from the bag as it is held in place with velcro. 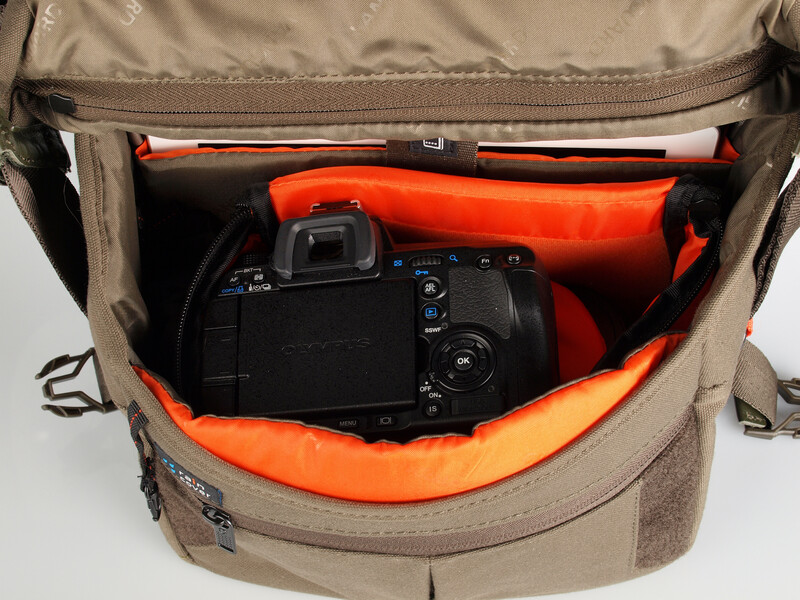 The inner compartment zips up and has its own handle, so you can keep your camera equipment safe and secure when you don't want it in the bag. With the internal compartment removed there is quite a large amount of room within the bag. When the internal compartment is in, you've room for your DSLR and two lenses, but there is a gap at the side of the compartment, where you could squeeze another lens in if needed, but it won't benefit from being padded all the way around. Also within the main sections is a padded area for a tablet device such as an iPad. There is also another pocket, ideal for a charger. On the front side of the bag that is underneath the flap is a zipped pocket which goes all the way across the front of the bag. This is ideal for more valuable items as it would be harder for pickpockets to gain access to. When the flap is closed, it is held in place by velcro and an adjustable clip on either side. You can gain access to the main section of the bag from the top, via a zip. 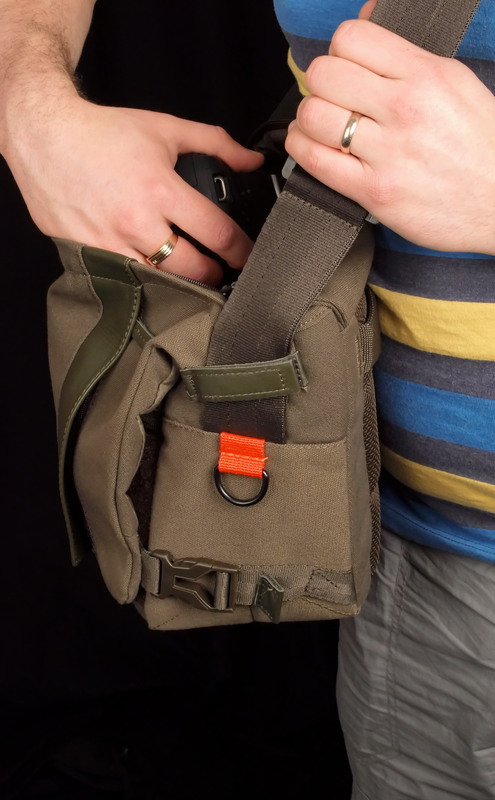 This makes it really easy to access your camera equipment when on the move. The flap has a zipped pocket which is quite wide and deep - an ideal place to keep documents and travel tickets for easy access. The Vojo 22 has a comfortable thick strap, which is adjustable in length and comes with an anti-slip pad, to make it even more comfortable. When not in use, you can fold the strap up and store it within the anti-slip pad. There is a luggage trolley attachment loop on the back which can be used for short-term carrying as well. There is a rain cover which sits inside of its own bag and can be clipped to the bag to save space. On the side of the bag is a loop which is ideal for attaching items with a carabiner. 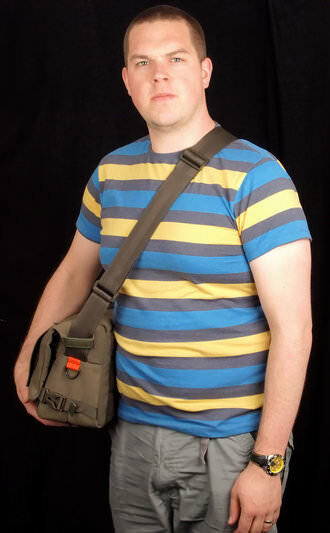 When purchasing a shoulder bag, you are spoilt for choice. The Vanguard Vojo 22 is available for £85. Other options include the Lowepro Nova 180 AW at £51.99, Kata Nimble-5 DL at £58.61, Domke F-8 at £96.38 and Tenba Messenger Large at £90.99. The Vanguard Vojo 22 is an excellent camera bag for travelling, particularly if you are on public transport within cities and towns. If you like to pack a lunch in your camera bag, you might want to consider something bigger as there isn't much room for other larger items alongside your camera and lenses. If you want to use the bag without your camera gear inside, you just need to take the inner compartment out and you've plenty of room to carry other items. 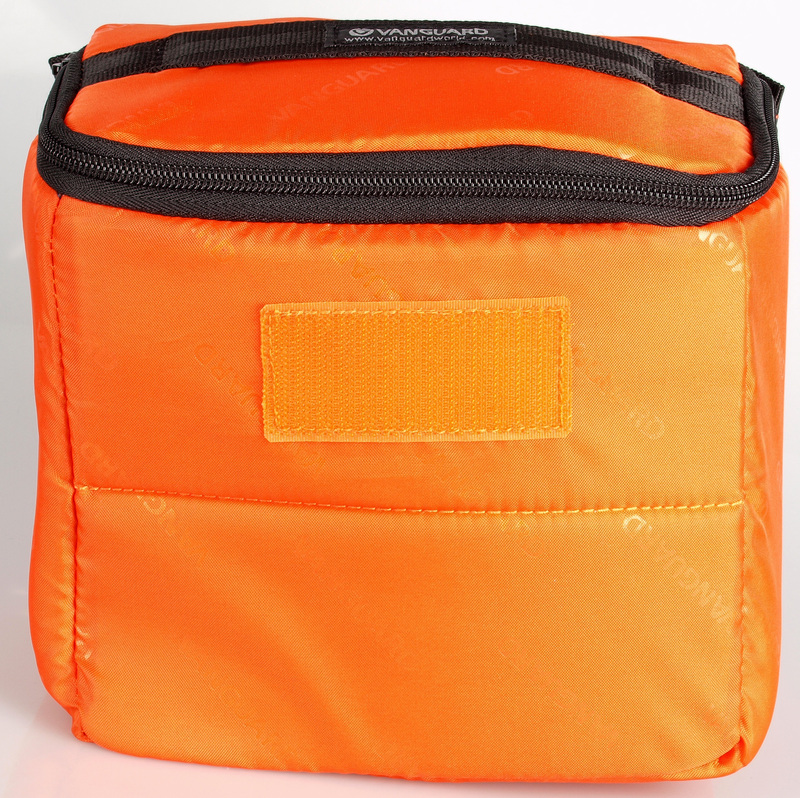 There's also a good number of zipped pockets, you can open the bag through the top and there's also a rain cover. 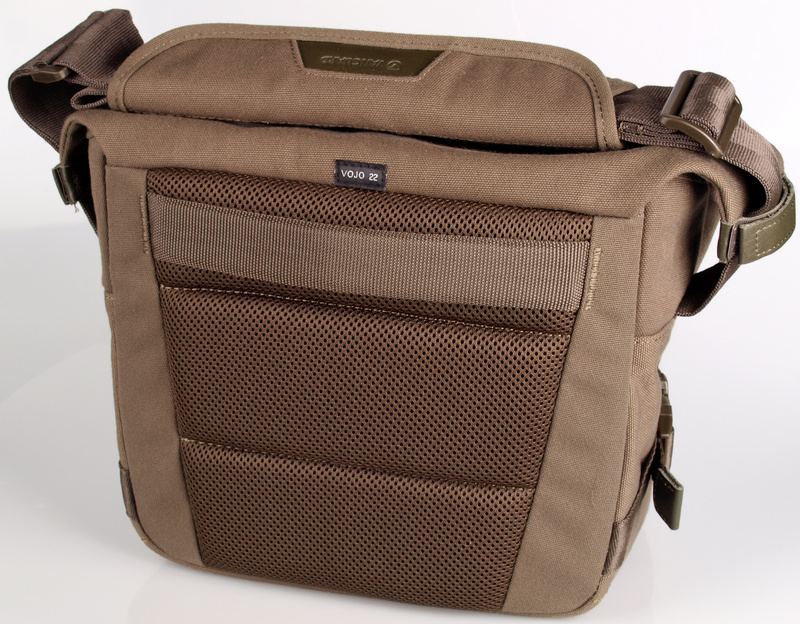 The Vanguard Vojo 22 is an excellent quality shoulder bag, ideal for travelling with your camera and a spare lens.